Our Phyang to Hunder Trek follows the ancient Silk Route trading route and travels through both the Indus and Nubra Valleys. You will truely feel at one with nature as you find yourself alone in the wilderness and the spectacularly views from Lasermo La will surely make you feel like you are on top og the world. 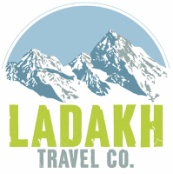 *We can arrange everything you will need including a trekking guide, cook, helper, tents, mattresses, all food and required cooking equipment, transport and ponies. Local homestays are not available on for this route which means a more remote, but also more expensive kind of trek. Wake early and travel west of Leh with a short pit stop at the mysterious Magnetic Hill where you can experience reverse gravity in action as your vehicle appears to move without power. Continue on your safari journey and arrive at the Sangham lookout where you can view the meeting point of the intersection of the Zangskar and Indus rivers before arriving to Phyang monastery where you can say a silent prayer before embarking on the first part of your trek from Phyang to Phyang Phu which is where the villagers bring their animals for summer grazing. Enjoy a leisurely breakfast followed by a gradual walk up to the South Base Camp of Lasermo where you may be lucky enough to see the local wildlife including Ibex, marmots and various types of birds. Overnight in base camp. A long day of walking today so you will need to start early in order to cross Lasermo La pass in full light. Along the way you can enjoy amazing views of the mountain peaks, as well as the Indus and Shyok rivers and valley scenery of Sham and Nubra. A light and easy walk today through the valley of flowers and meadows, you will follow a steady stream until you reach Hunder Dok village where you will find some shephard huts and perhaps some local animals grazing in the fields. 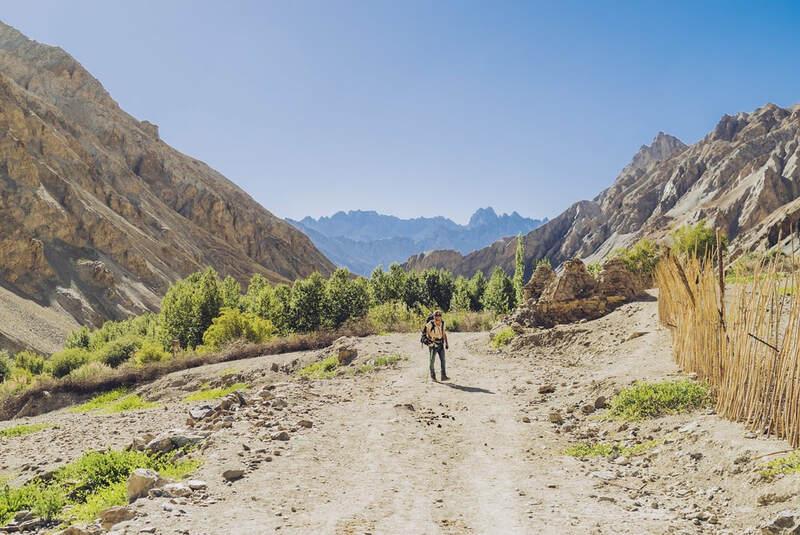 After a hearty breakfast and early morning views of the farm-life, make your way into Nubra Valley passing through the villages of Drok Gongma and Drok Yokma before enjoying a rest at Skarchen. Cross over the nearby bridge, and enjoy spectacular views of Saser Kangri Peak (7672m) and make your way into Hunder where a hot shower and meal awaits at our prearranged guest house accommodation. Enjoy a scenic drive back to Leh via the famous ‘Khardong-la-pass’ which is the world’s highest motor-able road (located 18390 feet above sea level)! The journey to back to Leh will involve a half-day drive of breathtaking landscapes and spectacular scenery and the experience is sure to be once-in-a-lifetime and truly unforgettable. You will return to the Leh in the early afternoon – with enough time to shop for any last minute souvenirs in the market. Our driver will collect you from the guest house and transfer you directly to the airport in time for your early morning flight.